The Bray Military Cemetery is one of the many smaller and medium size Commonwealth war cemeteries in the Albert area. 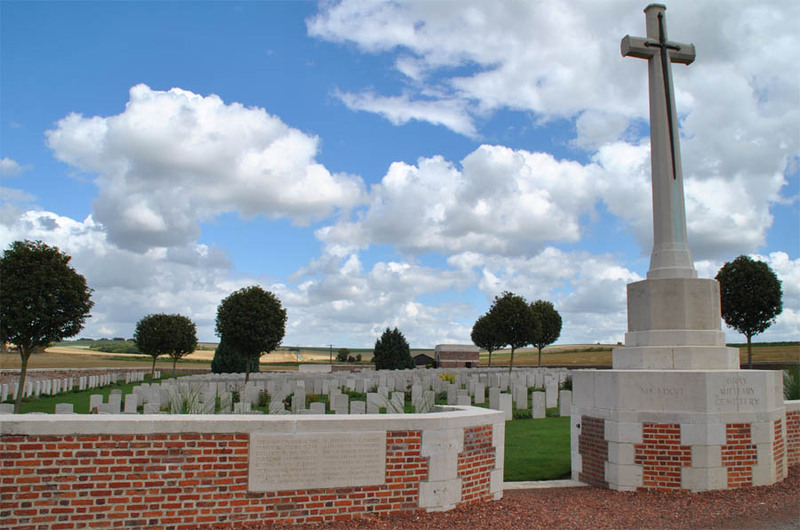 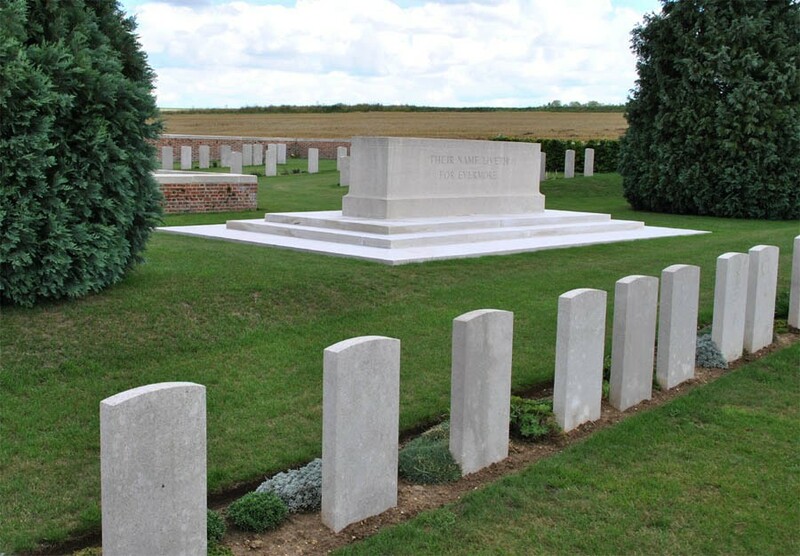 The cemetery contains 747 Commonwealth graves from World War I - and is located just a few kilometres south / south east of Albert. The cemetery include the graves of soldiers and workers from both India and Egypt. 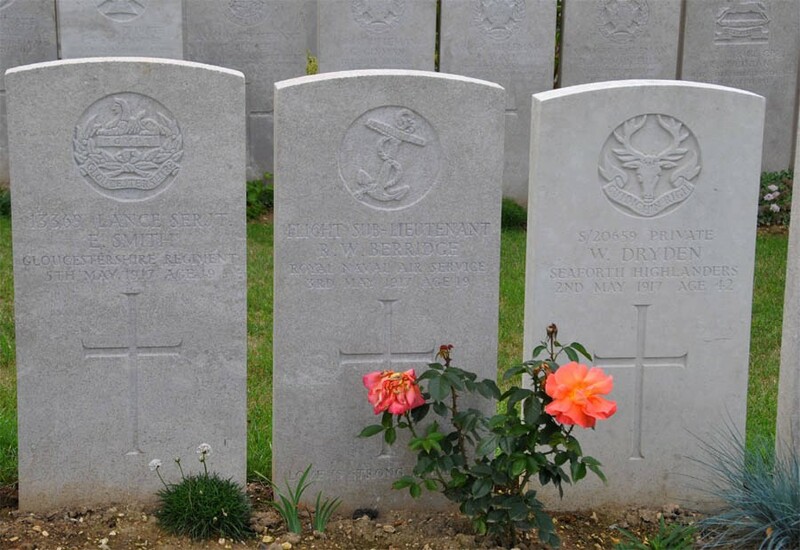 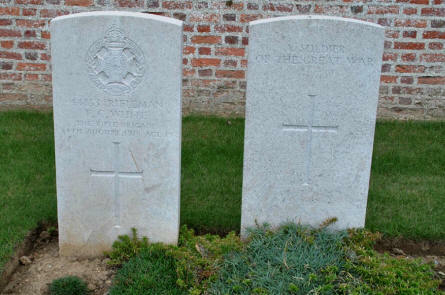 The World War I grave of Flight Sub-Lieutenant R. W. Berridge (Royal Naval Air Service - killed 3rd of May 1917) and two other graves at the Bray Military Cemetery at Bray-sur-Somme. One of the Indian World War I graves at the Bray Military Cemetery at Bray-sur-Somme. 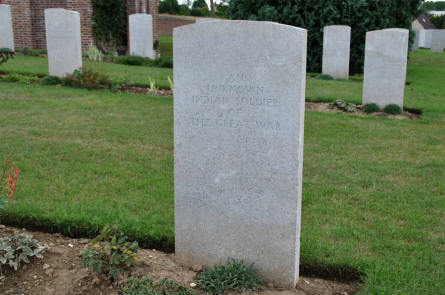 The memorial stone at the Bray Military Cemetery at Bray-sur-Somme. 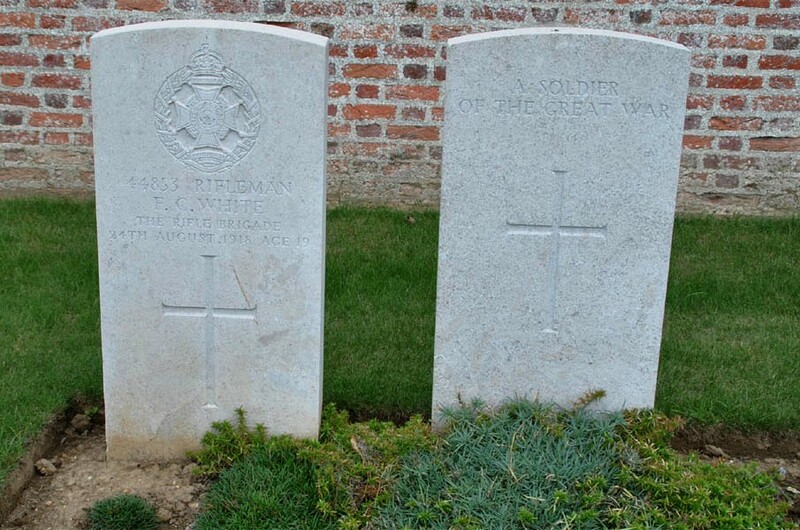 Two of the Australian World War I graves at the Bray Military Cemetery at Bray-sur-Somme. 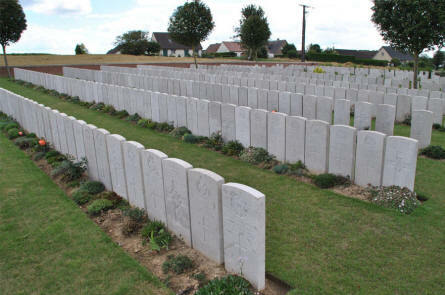 Some of the very tight rows of World War I graves at the Bray Military Cemetery at Bray-sur-Somme. The entrance to the Bray Military Cemetery at Bray-sur-Somme.